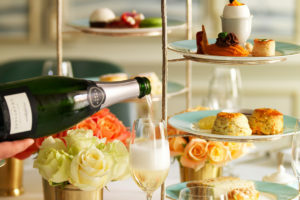 Residing next to Shakespeare’s infamous Globe Theatre, Afternoon Tea at The Swan at the Globe Theatre is the perfect opportunity to enjoy a little relaxation after a visit to this prestigious London landmark. 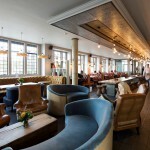 With spectacular views across the River Thames and stretching across the London skyline soak up the atmosphere from a soft and welcoming leather bench in this stylish venue on London’s Southbank. This stylish dining venue effortlessly blends vintage chic with striking industrial features. A Mid Summer Night’s Afternoon Tea at the Swan at the Globe is a truly magical affair. 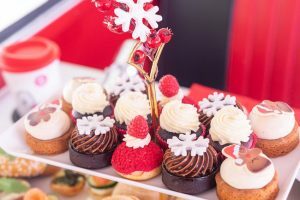 Shakespeare’s romantic comedy, never did run a smooth path and the twists and turns of this passionate affair have been the inspiration for this flavoursome afternoon tea. From the pea flower of Oberon’s love potion, the apricots Titania feeds to Bottom and, of course, mulberries from the lovers’ tree, this delicious medley of flavours will take your tastebuds on a Shakespearean adventure. 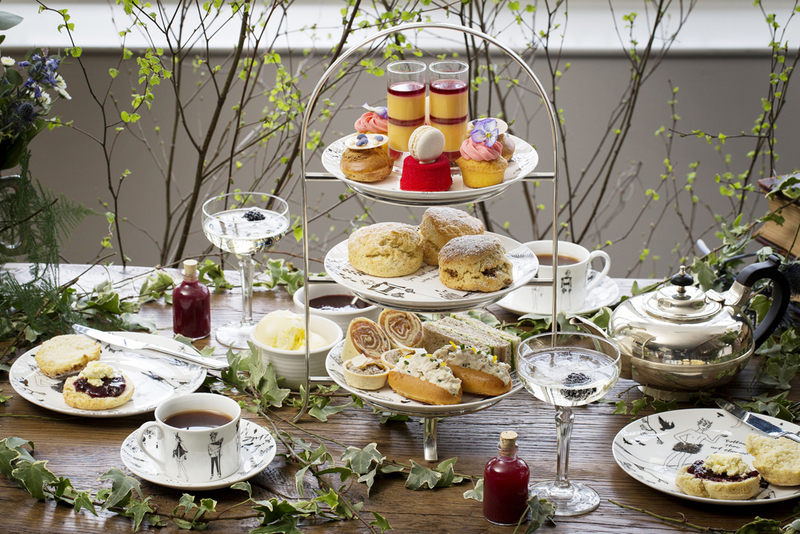 Your afternoon tea is served on the Swan’s bespoke crockery designed by Annika Wester which reflects Shakespeare’s tales. The Globe Theatre was originally constructed during the Elizabethan period in 1599 on the South Bank of the Thames. It was constructed by a company in which William Shakespeare had an interest and played host to many of his famous plays becoming renowned over time as the Shakespearean Globe. In 1613, wadding from a theatrical prop ignited and in a matter of hours, the theatre and its thatched roof burned to the ground. It was subsequently rebuilt but this time with a tiled roof. It remained as a theatre until 1642 when it was closed down by an English puritan administration and two years later, was demolished to make way for tenements. The rebuilding of the Globe Theatre as we know it today can be credited to American actor and director Sam Wanamaker inspired initially by a visit to London in 1949. I was some 21 years later following hard work and dedication that the current theatre was brought to life to once again host great plays and form an education and exhibition centre. 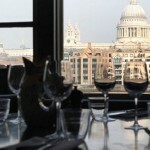 The Swan at the Globe Theatre is only a 10 minute walk from London Bridge Station. To book afternoon tea, or lunch, simply select the Book Now button and book online today with our partners at Buy a Gift. With advance notice The Swan at the Globe can accommodate pescatarian, vegetarian, vegan, gluten-free and yeast free diets. 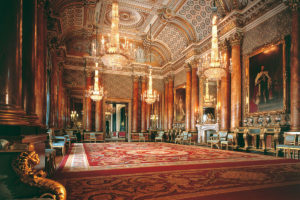 If you are visiting the London’s Southbank, why not check out our other afternoon tea venues in the area . 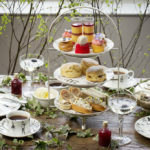 . .
A Mid Summer Night’s Afternoon Tea at the Swan at the Globe: Architecture, history, theatre and sightseeing – the perfect recipe for a great day out in London.